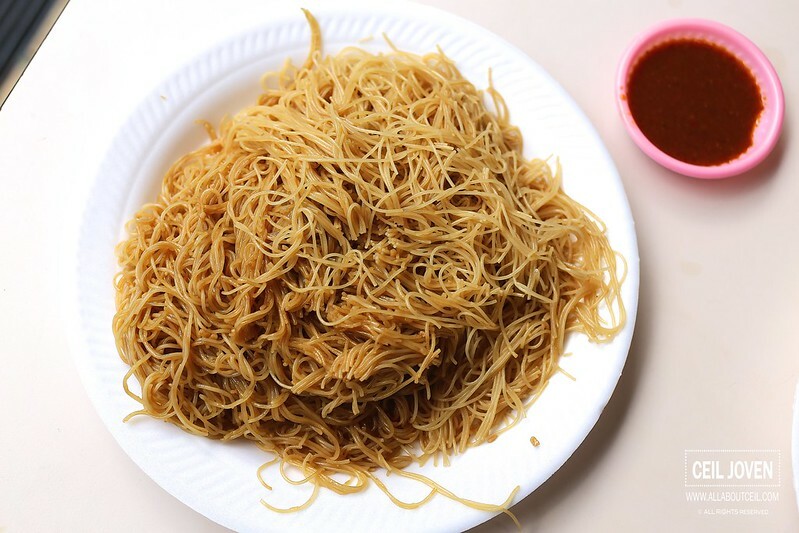 ALL ABOUT CEIL: Yan Fried Bee Hoon / Chicken Wings : Why did PM bother to queue? 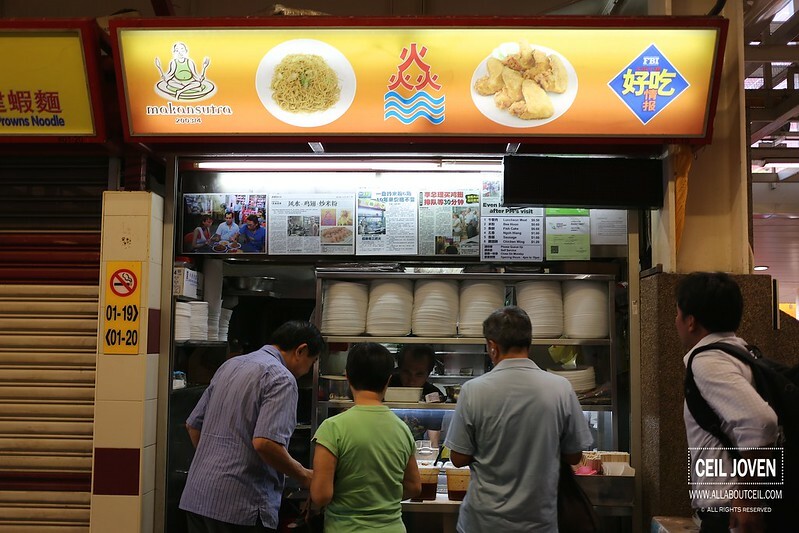 Yan Fried Bee Hoon / Chicken Wings : Why did PM bother to queue? It was slightly after 4 pm when i was there. There was already a short queue of about 4 people right in front of this stall and almost everyone ordered the signature fried chicken wings from this stall. I guess their chicken wings must be so good to even get the Prime Minister (PM) to queue for it. I was told if come during dinner, the waiting time could be as long as 30 minutes or even longer. I waited for a short 10 minutes before i got to order, some of their side dishes were not ready then still the choices were rather limited. I ordered a packet of bee hoon with fishcake to take away and requested for chilli to go along but it was overlooked, no chilli is added. I have also ordered for a plate of fried bee hoon and 4 pieces of chicken wings to be eaten there. Even before i tasted it, the dark color of fried chicken wings did not seem to be quite appealing. It looked slightly overcooked though the skin still retained its crispiness and not greasy. My first bite has confirmed my suspicious, the chicken wings tasted slightly burnt and a bit too dry. Though crispy but it did not have much taste within. I guess they must have deep fried those chicken wings over a rather high fire to achieve that crispiness but compromised its texture within. They did not season it long enough to allow the marinade to seep through it thus it tasted rather bland. A friend that tasted the fried chicken wings by my late Grandpa commented that those chicken wings were tastier as compared to these. I tasted it when the stall was still at the old Commonwealth Food Centre and it was quite good then. Now, there is a significant drop in comparison. I do not know whether is this an one time off or it is their usual standard. I seriously do not understand why did the PM even bothered to queue for such a standard fried chicken wings. 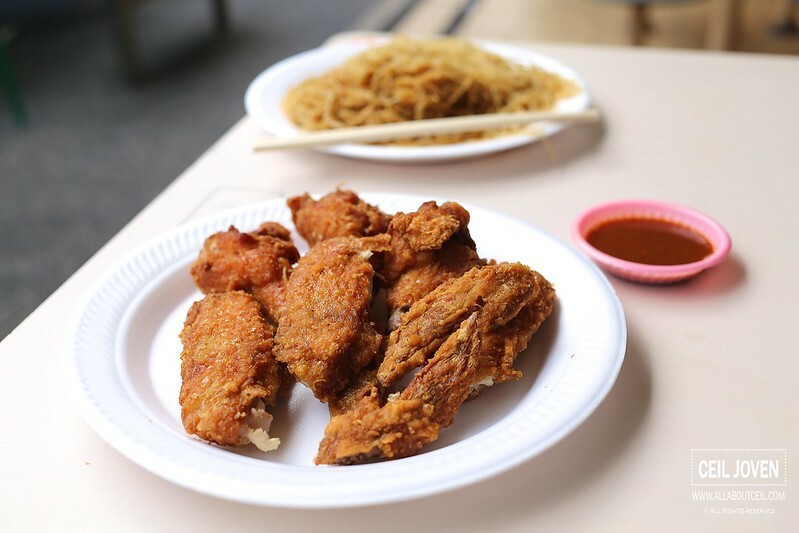 There are definitely many more better fried chicken wings out there, like some of those found at the lesser known economic fried bee hoon stalls that without a queue. So, why even bother to queue? Their fried bee hoon has left quite an impression though, a simple dish but they done it pretty well. It was lightly seasoned with soya sauce but stir-fried well to give it just the right texture and flavor. It tasted good even after it was left for a while.